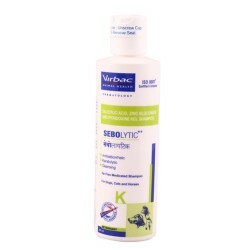 Product Information -Sebolytic shampoo is a unique antiseborrheic and keratolytic tar free shampoo that removes scales, crusts and excessive oil associated with disorders in dogs, cats and horses. 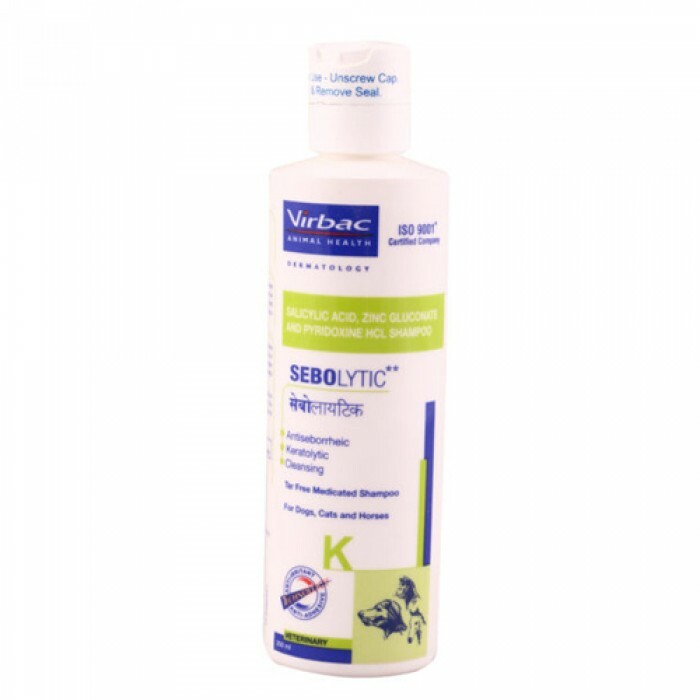 This product helps to regulate the keratinization process and sebum production to improve skin health. The addition of tea tree oil provides a natural pleasant herbal scent.Directions-Dosages-Unscrew the cap and remove he induction seal before use. Wet the hair and coat with warm water and apply sufficient amount of shampoo to create rich lather. Massage the shampoo into wet hair freely. Allow to remain on hair for 5 - 10 minutes and then rinse thoroughly with clean water. Precautions -Not for human use.For animal use only. Do not allow your pet to lick the shampoo or lather. In case of toxicity symptoms, contact veterinarian immediately.